Paper Crafts by Candace: Jaded Blossom Monthly Challenge: Animals! Hi Everyone! Happy Sunday! Its Jaded Blossom challenge day! This months challenge is Anything Animal! Here is what I created. 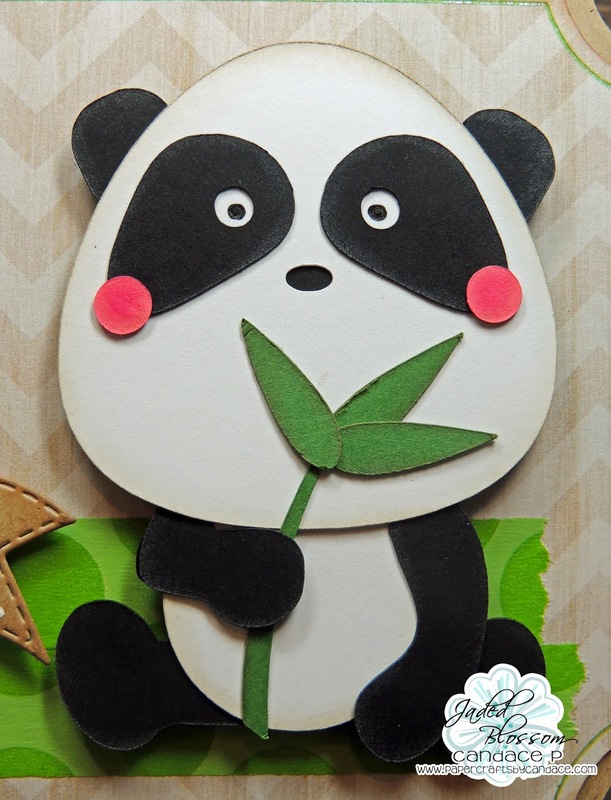 This panda is NEW from SVG Cutting Files! I also used the new card bases, LOVE them!! 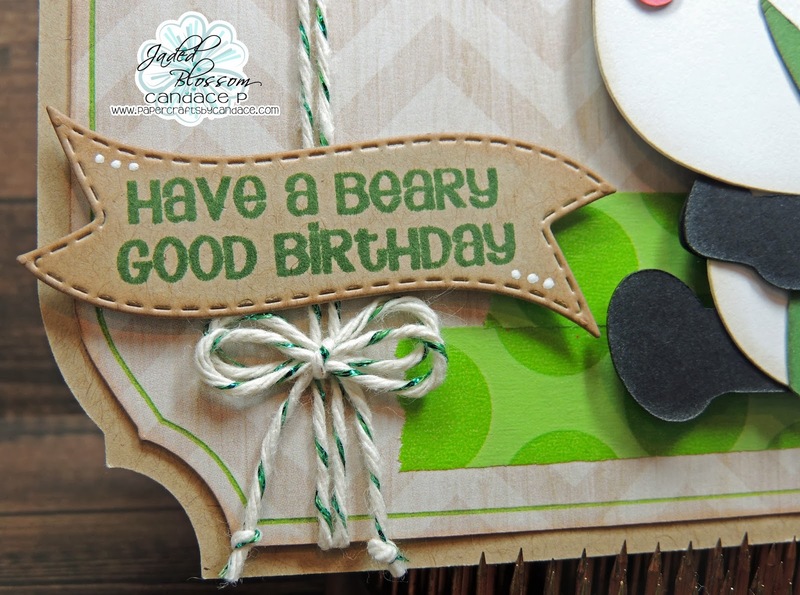 The sentiment is from Forest Friends and is stamped on the Mini Tag die! Here is a close up of the CUTE Panda!! Love him eating his bamboo! And of course this is a birthday card so on the inside I used Jaded Blossom's Gift Card die! Best die ever!! Thanks so much for checking out my project! Make sure to head over to Jaded Blossom to see what the rest of the team made! That panda is adorable!! such a cute card!! Your card is so stinken cute! 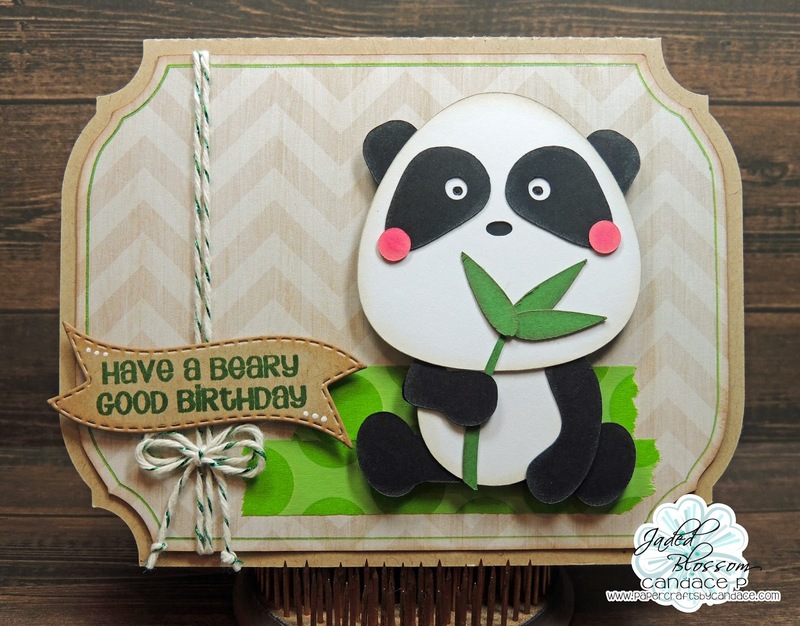 I just love this sweet panda bear:) The chevron paper is so fun and love the banner and awesome twine! Adorable design! 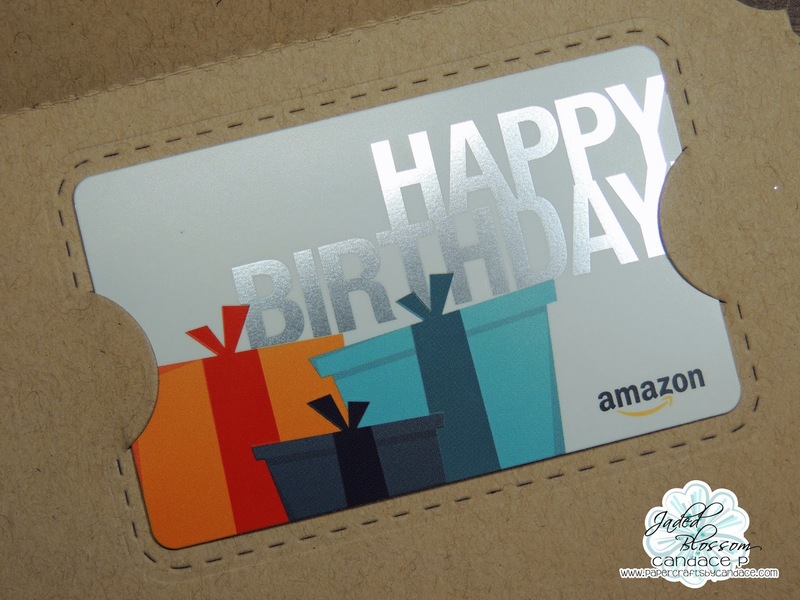 What a fun gift card!!! The panda is too cute!!! Great job!!! How cute it this guy! I love the washi tape! Such a cute card.. Love the panda! Adorable, love the cute panda!! I love the little panda too cute. We don't have panda's in our Zoo's here.